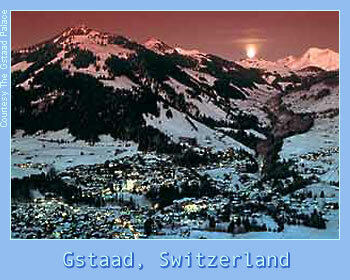 Glamorous Gstaad still attracts its fair share of international playboys, royalty and movie stars. The chalet village became even more picture-perfect in 1997, when the town banned cars. The funiculars and chairlifts around Gstaad are configured into a system that services the slopes of at least six other resorts scattered over four valleys. An all-inclusive ski pass--known locally as a "Ski Gstaad Pass" ($24 per day)--is sold at the departure point of any of the region's funicular stations and allows automatic access to 155 miles (250km) of downhill slopes and 70 chairlifts and gondolas. Unless you have your own chalet, the elegant yet comfortable Gstaad Palace is the best place to stay. Hi there, thanks for the info. Do you live or work there?